This first part of our time in Tonga is devoted to children (with a few big kids thrown in). For most of the patients this process will be nothing but a distant memory in a few months time. The ones who will remember and understand this stressful time are the parents.I am sure their parents will remind them of what it use to be like when simple tasks, such as walking became a massive task. 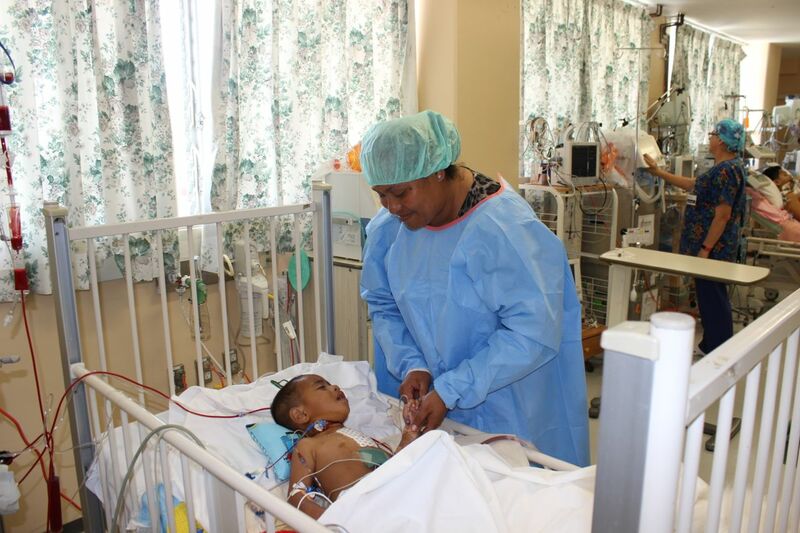 Most of the patients have their mum by their side at all times.The tension and uneasiness from Mum before surgery isevident as they look around inconcern and watch closely as the nurses and doctors observe their child. 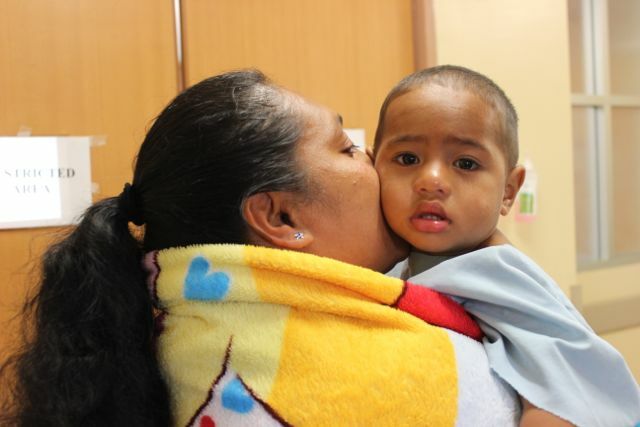 Maile Ata’Ata is 20 months old and is one of four children. 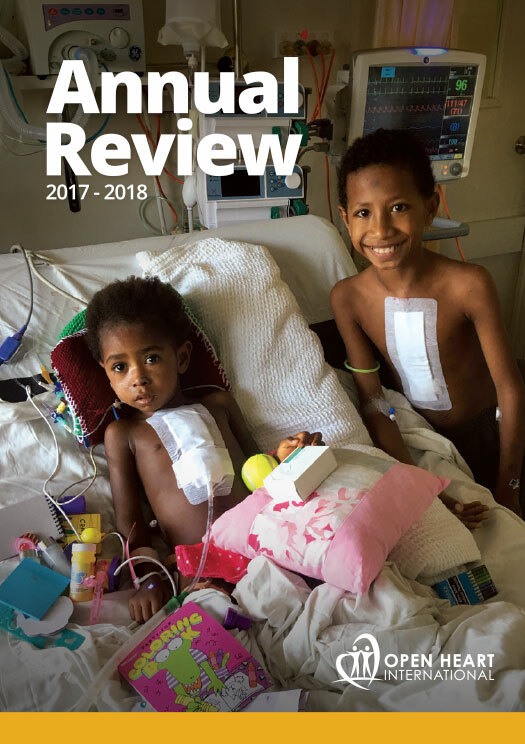 They discovered he had a hole between his left and right ventricle (known as a VSD) at birth.His father is a paramedic at the Vaiola hospital and his Mum, Kathlyn cares for him and his siblings (aged 12, 10 and 3). He is like any young child who enjoys playing and climbing which was certainly evident as I talked to his mum he continued to play with his red car and climb over the bed rails. As I left he used his minimal english by yelling “BYYYYYE!” and waved with a big grin on his face. This morning before his surgery Maile was very hungry and tired due to fasting for his operation (understandably so at the age of 1!). He cried continously until we played Bruno Mars’ “Uptown Funk” on a phone and had the toy bears dancing for him. 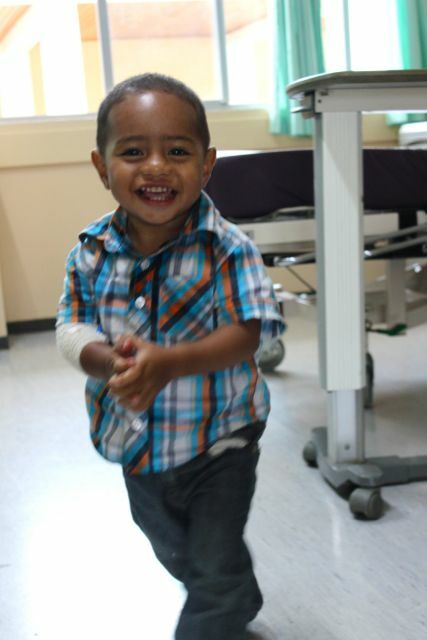 His parents then said goodbye and waited anxiously in the hallway for the operation to be over. The operations usually only takes a few hours, but I am sure for a parent waiting for the news on their child it must seems like days. Every time someone walked out of theatre they looked intently wondering if they were going to bring them good news. When I came out to tell Kathlyn she could come into ICU and see Maile she was very excited. 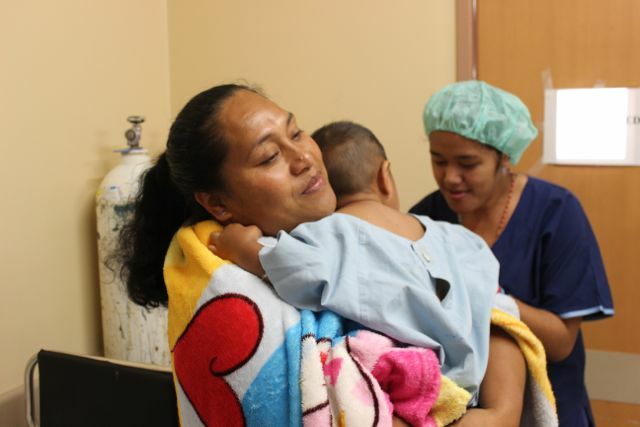 There wasa sense of ease over Kathlyn as she walks into the ICU and lays eyes on Maile. She leans over and kisses him on the forehead and as she does this Maile opens his eyes and looks up and says “Mummy, drink!” which is always a good sign!